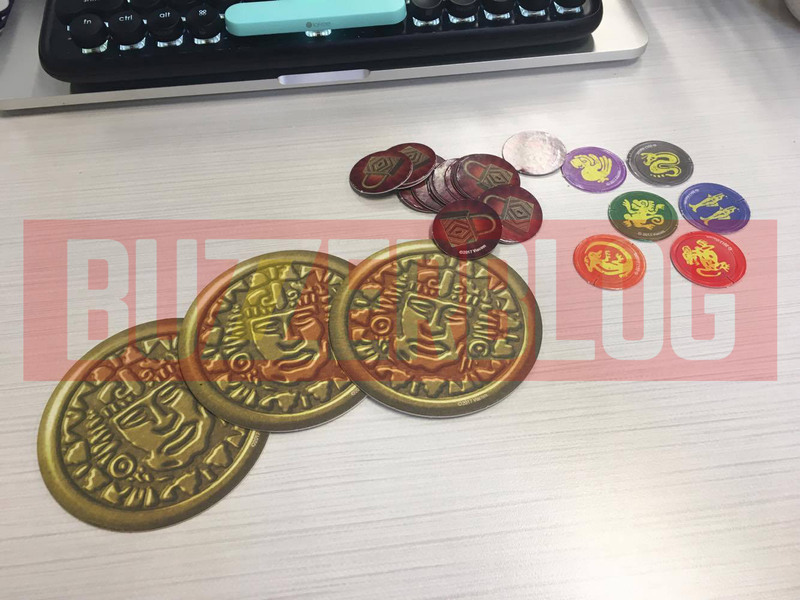 Pressman and Target are rolling out a Legends of the Hidden Temple Board Game. Here’s what’s in the box. 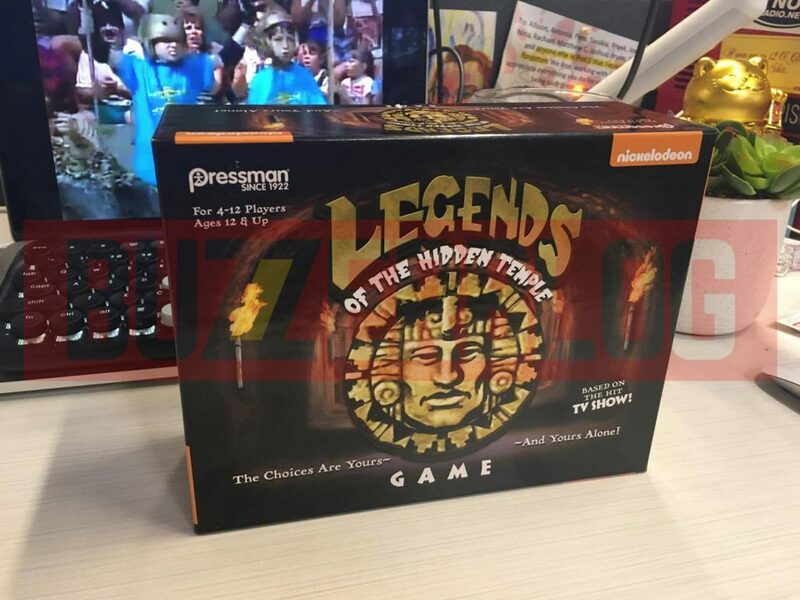 Hot off the nostalgia-inducing Oregon Trail card game, Pressman seems to be once again trying to cash in on 90s Kids nostalgia by releasing an officially-licensed Legends of the Hidden Temple board game, exclusively at Target. I managed to snag one. 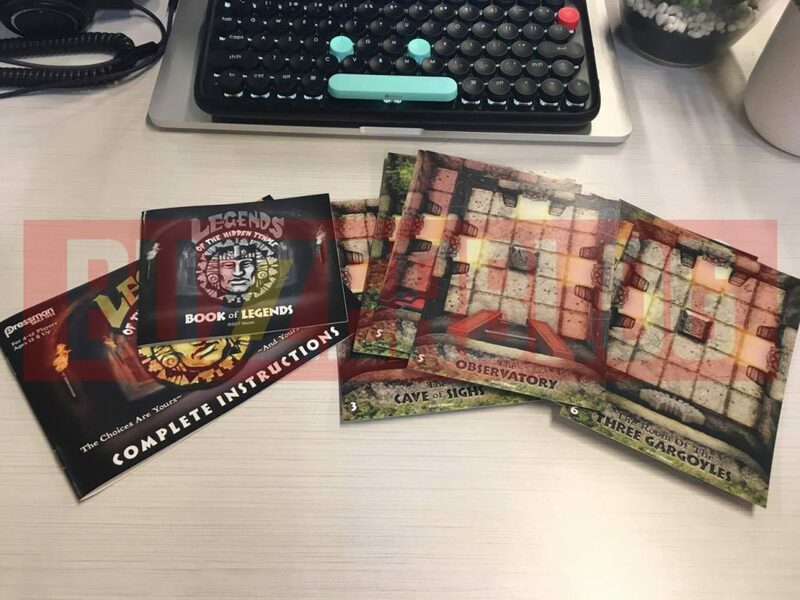 I haven’t played it yet, but I thought I’d at least go over what’s in the box and how the game works. The box comes with 12 double-sided Game Board panels: one side forms the Moat to cross for round one, and the other forms different rooms in the Temple. 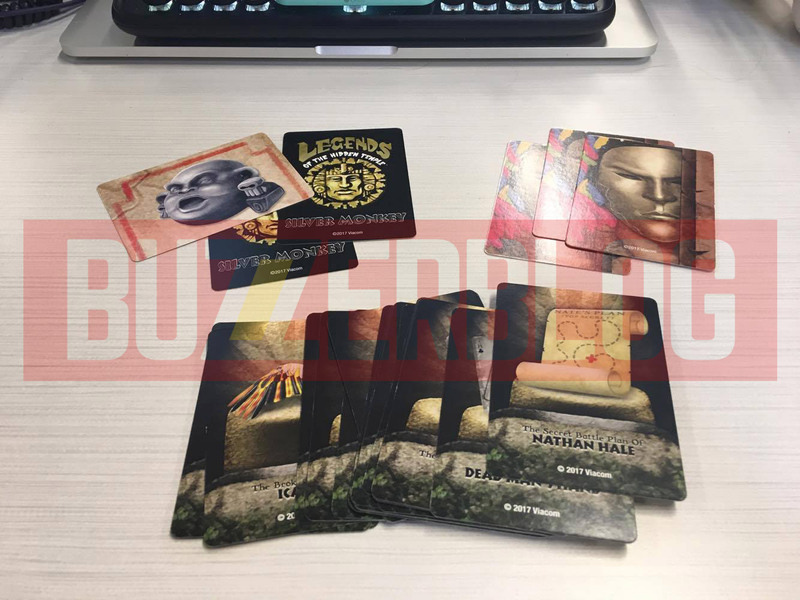 There are 25 different treasure cards to find, two tiny gold plastic cups and two tiny plastic balls, a book of legends that have stories and trivia questions, 72 mini cards with one of the six teams on them, three custom Temple Run dice, six team tokens with stands, six team dice, three Silver Monkey cards, three Temple Guard cards and 16 Locked Door Tokens. The first round, true to form, is the moat. Each player or team picks a color to play as, and frantically rolls one of the team die to make their way across the moat. Rolling your team’s symbol moves you across the moat; rolling the team to your left’s symbol, you fall into the water and have to start from the beginning. The first three teams to make it across the Moat and back move to the steps of Knowledge. The next round is the Steps of Knowledge, where you hear the story behind one of the treasures and answer trivia questions about the story you just heard. The first two teams to answer two correct questions move on to the next round. 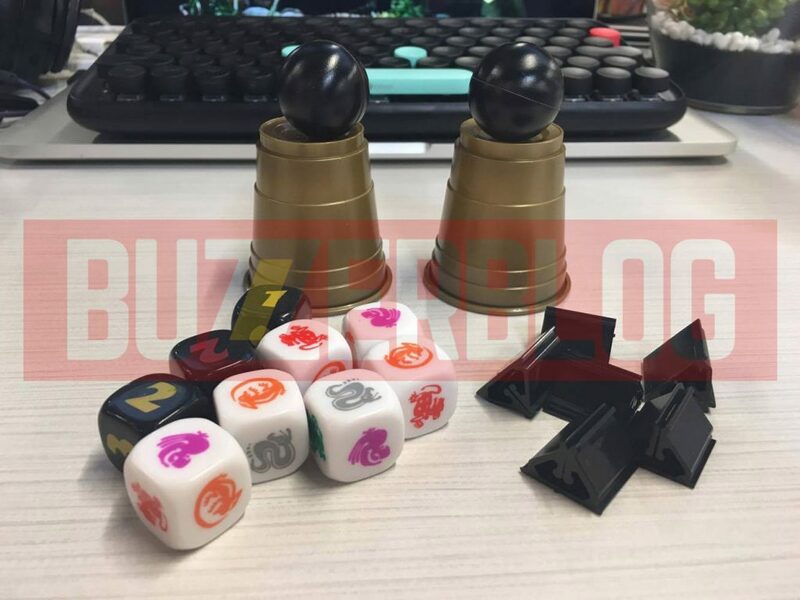 The temple games make up Round 3: The Golden Cup of Belshazzar, which is basically the college mainstay Flip Cup; Galileo’s Cannonball, which is basically the college mainstay Beer Pong; and The Smashed Print of Frederick Douglass, which is basically the elementary mainstay card game Slap. At least they’re easy to understand. Whichever team wins each game gets a pendant; the team with the most pendants moves on to the Temple Run. 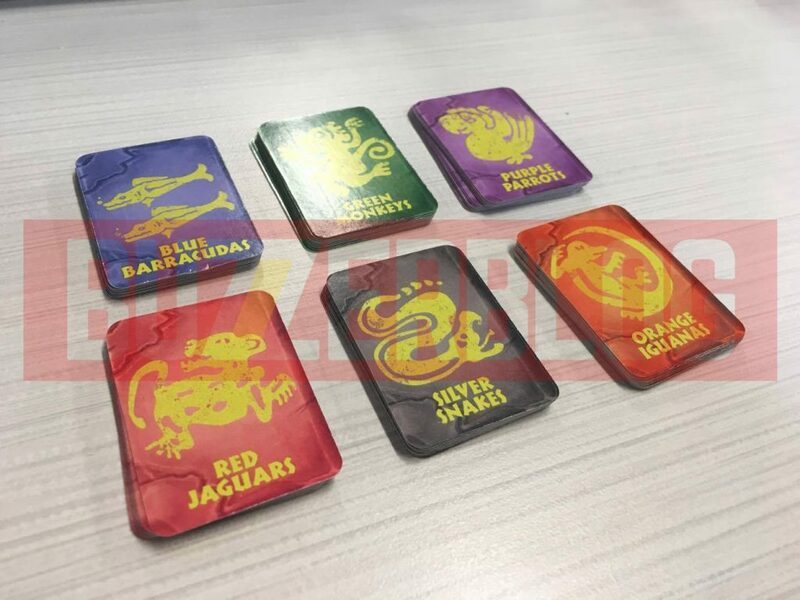 The eliminated players hide three temple guards and the Treasure underneath four of the rooms, then shuffle the Silver Monkey cards. The players then enter the temple and roll dice to move spaces to move through the temple. Once a player gets to a door, a special roll unlocks the door and moves on to the next room. Some doors lock with a high enough roll. Play seems fast and frenetic. We’re going to do a full run-through of the game soon to figure out if it’s fun. 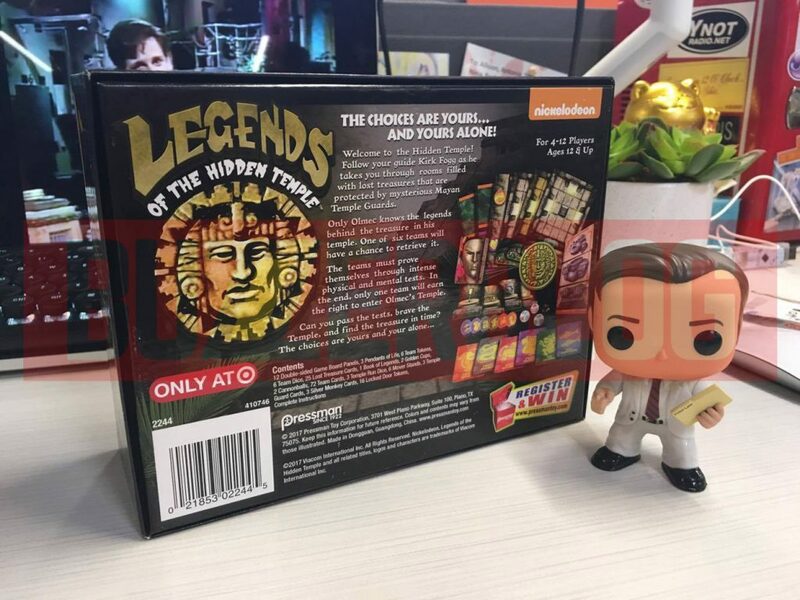 Target should be stocking these on the shelves soon, so keep an eye out.